A poor credit rating is a problem which blights the financial lives of millions of people in the UK. People often think that a bad score means the closing of all of their financial opportunities, but this is not the case. As the number of people with poor credit grows, so too does the number of companies specialising in providing services to this expanding market. As a result, there has never been an easier time to be in this position. There are certain steps that you can take to improve your situation. First of all, you should request a copy of your credit report from one of the main two agencies, Experian or Equifax. This should give you a better idea of what, specifically, is wrong. There may well be things that you can do to change this; if there are mistakes on your report, or details appear pertaining to individuals with whom you have no financial connection, you can request that these be removed. Furthermore, it may be possible to push your score up by a considerable amount, by taking some very simple steps. Your first priority should be to make sure that you appear on the electoral role, with the correct address. If this is not the case, you are likely to be turned down out of hand by the majority of lenders. Having done all of these things, however, you may well still find yourself with a 'sub-prime' credit rating. 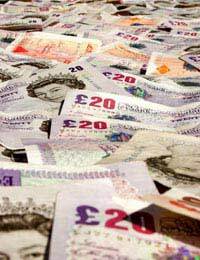 As a result, you may find it difficult to gain credit from most high street lenders. You should, however, think about the type of loan you need. Lenders will be turning you down because, in their eyes, you are a high risk proposition. The best way of reducing the risk from a lender's point of view, is to secure some sort of collateral against which to guarantee the loan. This is known as a secured loan. The most popular type of secured loan is, of course, a mortgage, where the debt is guaranteed against the property. If your credit score is only just below prime, you may not have a problem getting a secured loan from a standard lender; the risk is fairly low for your creditor, as they have an asset against which their money is guaranteed. If you have a particularly bad credit rating, however, especially if you have bankruptcies or county court judgements to your name, then you may still find it virtually impossible to persuade the high street banks to lend you money. In these instances, you may consider looking to non-standard lenders. These companies make their money out of catering for customers who are likely to be desperate for an answer to their financial crisis, and so you should approach them carefully. If you have no alternative but to deal with these organisations, you should be prepared to pay very high interest rates, and accept fairly inflexible terms. You should also bear in mind that your financial situation may well change in the future. As a result, you should remember that it is perfectly possible to switch your lender and secure a better rate of interest, or a more flexible repayment plan. To this end, you may wish to find a lender who will offer you a plan without early repayment charges.